The short film tells a story of a beautiful young traveler named Anna who comes to visit her Thai boyfriend, but their journey takes an appetizing yet sour turn. Anna eats like a monster, to the point she is left in a food coma suffering “jawbone syndrome” from all the delicious street food; grilled pork, fried meatballs, som tam, noodles… the list goes on. 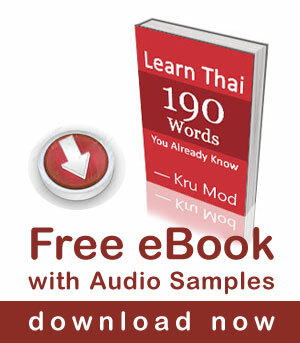 I find this video very funny and thought it is a good material for Thai language learners to practice listening skills. Thailand’s Top Adman Awards Night 2015 announced “Pray for Anna” an ad of Thailand’s tourism to receive Award of Bronze of Viral Advertising in Viral Marketing , Incl. Viral Video & Other Viral. Pray for Anna is under branding of the Tourism Authority of Thailand and created by Leo Burnett Group Thailand. Foreign tourists must be aware at all time. 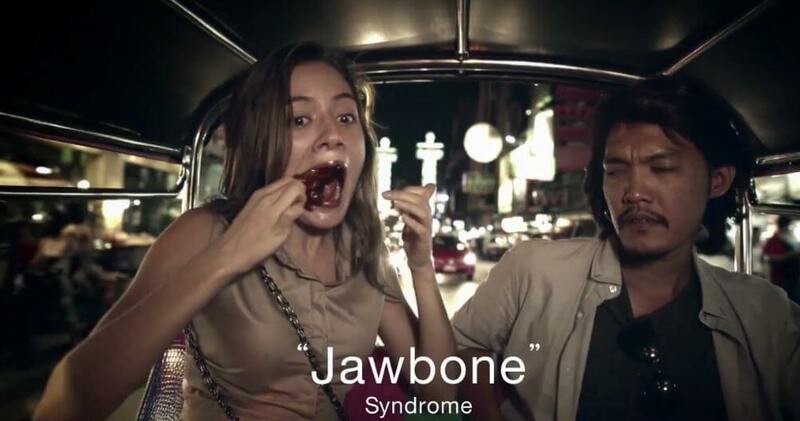 Jawbone Syndrome is the symptom that the jaw gets stuck. Food are easy to be find, everything is delicious and available 24 hours. When you eat too much, your jaw will stuck and you will be flatulent. I have never met anyone who eats this much. Thankyou for video about Anna. I have no idea this condition exist in Thailand. Oh my god, this could have been me… I love thai food so much T_T !!!!! Thank you for your comment. I am happy to hear that you found my videos helpful.